Mayoral candidates in Waterloo are fired up over closed-door budget meetings that took place in 2014. 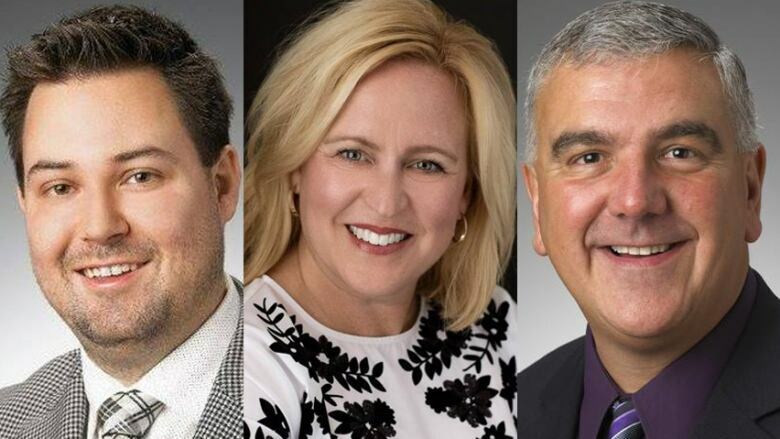 Waterloo mayoral incumbent Dave Jaworsky is being slammed by his two opponents over "secret budget meetings" held early in his term as mayor. In a blog post on her campaign website on Saturday, Kelly Steiss wrote that Jaworksy's term "started with secret budget meetings, illegal backroom dealings." Fellow candidate Chris Kolednik echoed Steiss's comments, posting on his campaign Facebook page on Sunday that "it's time to stop the backroom dealing at city hall." "Citizens of Waterloo demand honesty and transparency from their elected reps," he wrote. "Do you really trust the current mayor with a second term?" André Marin, who served as Ontario's ombudsman from 2005 to 2015, criticized the city for its closed-door budget meetings. He tweeted on Jan. 21, 2015 the closed-door budget meetings, where councillors could ask detailed questions of staff, were "amateurish and illegal." But Jaworsky noted there was never an investigation "nor even a phone call from the Office of the Ombudsman." Jaworsky brushed off the online comments from his rivals. "Municipal politics seem to get heated for four weeks out of four years, with stories flourishing like dandelions in spring," he said. Jaworsky did acknowledge what happened in those first few weeks as mayor was not right. "It is common in business to have educational orientation sessions to ensure everyone has a solid base understanding, so that you can move forward productively," Jaworsky told CBC K-W. He added provincial and federal politicians can also have private meetings about budgetary items, as can charities. "While permitted, perception is reality, so within hours of being informed of concerns, those orientation meetings were replaced with public council meetings, and all notes from the prior meetings were published on our website, for citizens and media to review," he said. Jaworsky added, "I have not heard any similar concerns since that day nearly four years ago." After Jaworsky ended the closed-door meetings in January 2015, Marin tweeted, "Kudos to Mayor Jaworsky for fixing this quickly and moving [meetings] into a public setting." Steiss also criticized Jaworsky for taxation in the city, saying in the four years he's been mayor, taxes have increased 13 per cent. Steiss added the city has "thrown away" money on projects such as traffic circles on Lake Louise Street "that none of the residents wanted or felt they needed." Steiss also criticized the new bike lanes in uptown Waterloo that has "speeding cyclists racing inches past pedestrians." On the traffic circles, Jaworsky said traffic calming measures are "rarely popular" changes. He said the city has found the traffic measures have worked in the area, and has significantly reduced speeds. Jaworsky noted he was not alone in making the decisions council did. He is just one vote "and council isn't like the Olympics where a judge can give a score of eight out of 10. The voting options are only yes or no." He said the tax rate "came in around the inflation rate" but the city has undertaken other measures to save money, including installing LED lighting, which could save the city $900,000 each year going forward.